After a busy day enjoying the different activities on offer, we invite you to savour the real taste of the Region with the dishes served at any of the many restaurants in the area. The local cuisine is simple, high quality and enriched by French influences,with products such as foie, confit of duck and cheese. The gastronomic year here is marked by two events: the competition Tapas por el Alto Gállego, when the bars of the Region attempt to summarise in one mouthful the best of their culinary arts; and the Days of Tensino Suckling Lamb when, over a number of days, you can try different lamb dishes prepared by restaurants in the area using the lamb of the Tena kempy sheep, a native breed. 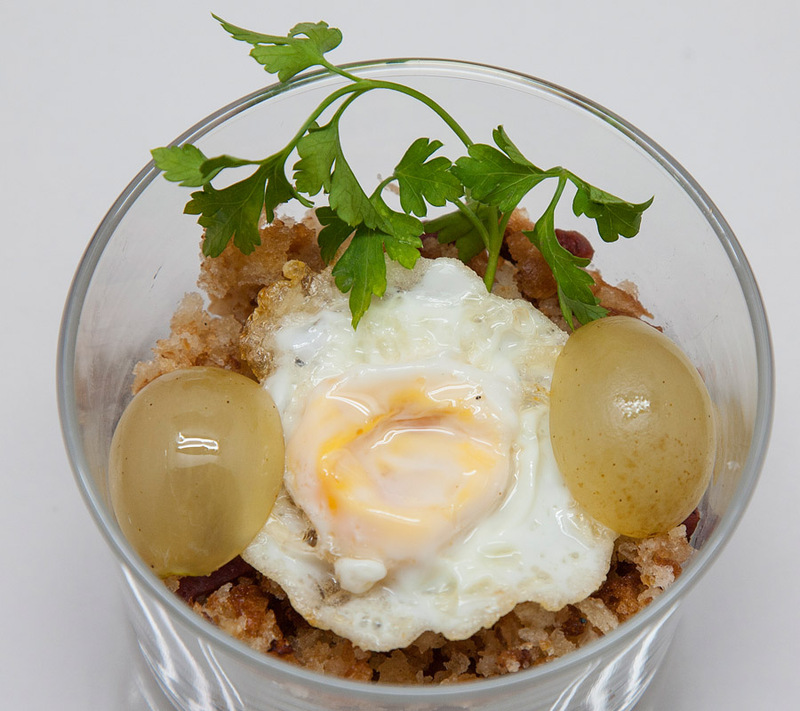 Migas, sautéed breadcrumbs with a garnish of grapes – a traditional dish, typical of Tramacastilla, in Tena. Suckling lamb from the Tena Valley – delicious lamb, reared in the Valley. Olla Tensina, a meat and vegetable stew – typical of Sandiniés. 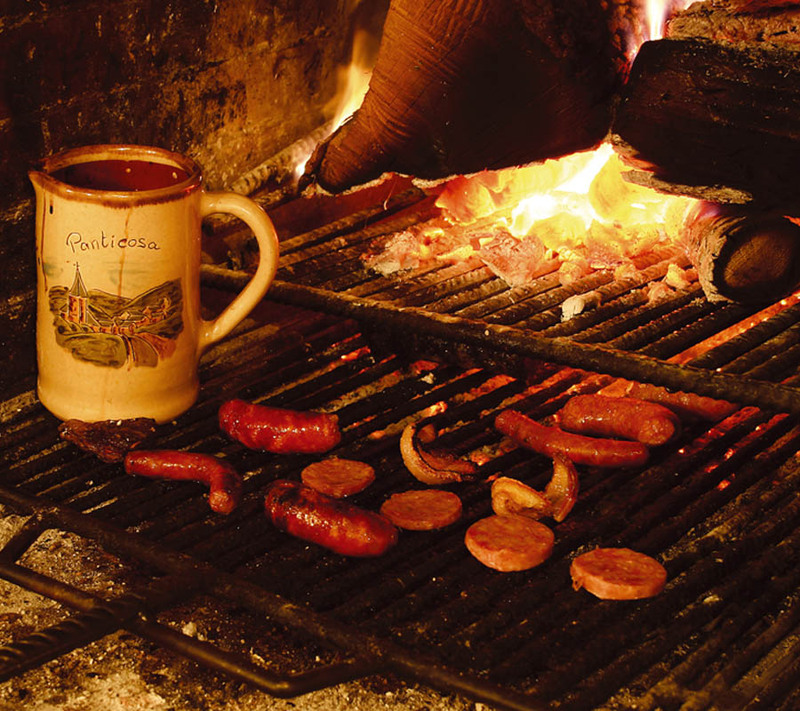 Roast potatoes and onions – which are given a special touch in Panticosa and El Pueyo. Sopetas, Peaches softened in rancio fortified wine– never missing from the festivals around Pueyo de Jaca. Crespillos – a traditional dessert usually prepared around Carnival. Confit of duck – prepared in a lot of restaurants in Sallent, Escarrilla and Panticosa. Homemade Pacharán, a type of sloe gin – available for purchase in nearly all the towns and villages in the Region.